The majority government won by Prime Minister Stephen Harper on Monday could be his one and only according to a focus group of Canadian voters. The majority government won by Prime Minister Stephen Harper on Monday could be his one and only, according to a focus group of Canadian voters. A collection of factors allowed for the Conservatives to decisively win 167 seats in the spring election that saw the Bloc Québécois virtually wiped off the map and the Liberals lose their status as the Official Opposition party to the NDP, according to a report by Ensight Canada, a public affairs and communications firm. Those factors may never occur again at the same time to produce the conditions that proved to be the winning ones for Harper, it said. Twelve separate focus groups, conducted across the country on Tuesday by Ensight Canada, picked the brains of 134 Canadians on why they voted the way they did. Jamie Watt, executive chairman of Navigator and principal of Ensight, says the election votes cast are the biggest quantitative poll. But Ensight wanted to find out why people voted the way they did and what they expected of the government and opposition they elected. "The thing about qualitative research is that when everybody in your sample tells you the same thing — and we talked to Quebecers, we talked to urban professionals, we talked to rural people, young people, Conservatives and so on, they all told us the same thing — when that happens, it's pretty reliable," Watt said. The participants' views help explain some of the reasons behind Canada's new political landscape, one that is dramatically different from that prior to March 25 when the campaign was triggered. Liberal Leader Michael Ignatieff didn't have a strong enough issue — ethics — to campaign on. Bloc Québécois Leader Gilles Duceppe picked the wrong issue — sovereignty — in Quebec, which allowed the NDP to sweep that province. Harper's one-track message — trust me to manage the economy — was heard loud and clear and the voters Ensight talked to agreed with it. 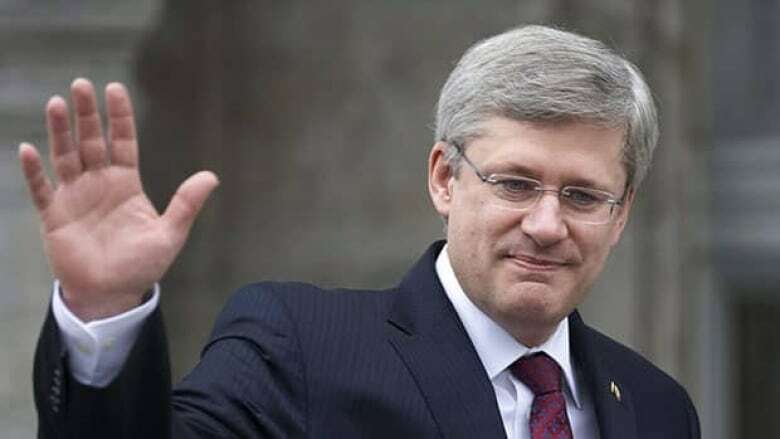 Harper has earned the trust of Canadians on the economy, voters want him to move ahead on that agenda and feel he can do so more easily now that he isn't constrained by a minority Parliament, the study said. An advance copy of the report being released Friday was obtained by CBC News. The study found that a degree of "minority fatigue" also influenced voter decisions, with some saying they were tired of constant election threats. While they weren't enthralled with Harper, most felt he was the most capable of breaking the minority Parliament cycle. The voters in the focus group said they were frustrated about going to the polls for the fourth time in seven years, and largely held Ignatieff responsible for triggering the election, though some cast equal blame on Layton and Harper. Despite giving Harper a clear majority mandate, the voters in the focus groups don't want him to make bold or radical policy changes in areas outside the economy. "At this point, Canadians are still not ready to grant the Conservatives permission to move too far out of the mainstream across some areas of the issues spectrum. While Canadians confidently give Harper a 'green light' on the economy, they do not expect, nor do they want to see, any movement on social issues," the report said. They did, however, indicate they are comfortable with explorations into alternate ways of delivering health care. Canadians don't want to give Harper "a free pass" on reforming the system, the study said, but they are willing to entertain ideas on new private health-care delivery options because of a concern about the sustainability of the current system, the report found. The voters who participated in the focus groups gave the leaders mixed reviews when it came to their personalities. Some viewed Layton as "vibrant and dynamic" while others said he is "reckless and inexperienced." Some think Harper is a steady leader, others find him calculating. Ignatieff's personality didn't win him many fans, according to Ensight, and Duceppe was viewed as ineffectual.